Frank Lloyd Wright was a pioneering American architect. 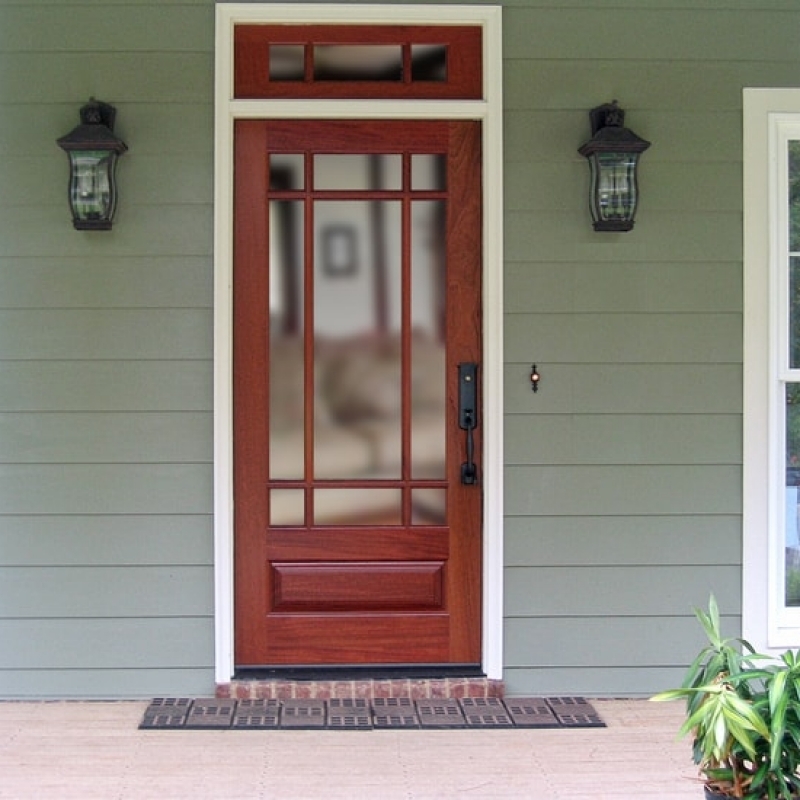 He is best know for what would later become the Prairie School movement as well as Usonian design. 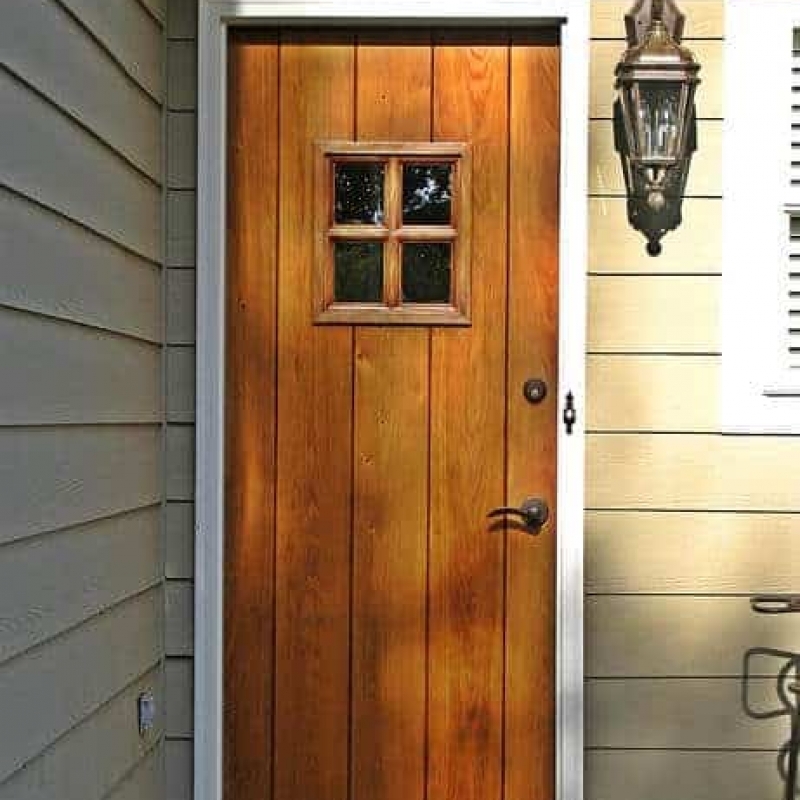 Wright frequently found inspiration in nature and that inspiration can be seen in his many home and building designs. 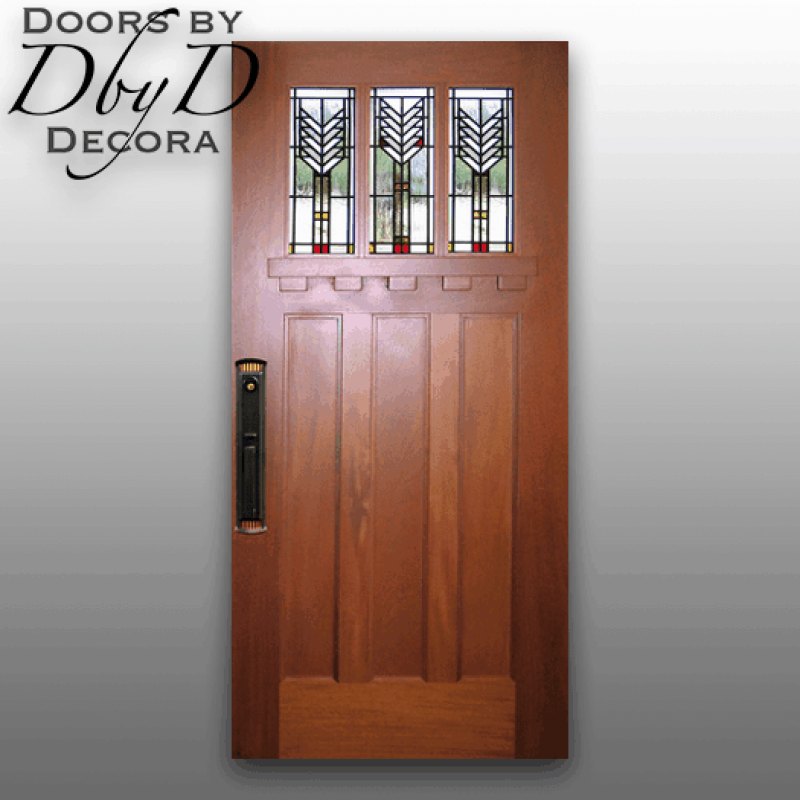 Doors by Decora’s Frank Lloyd Wright doors are a fundamental part of our Craftsman Collection. 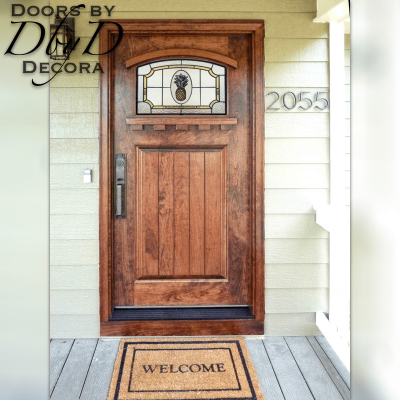 You will see that these doors feature design elements found on many of the doors that you would expect to find on homes designed by the great architect. 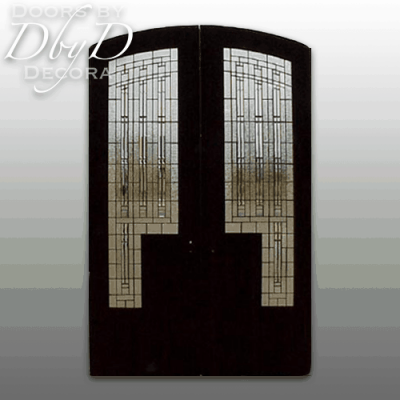 Many of these doors feature stained glass designs inspired from traditional Frank Lloyd Wright designs. 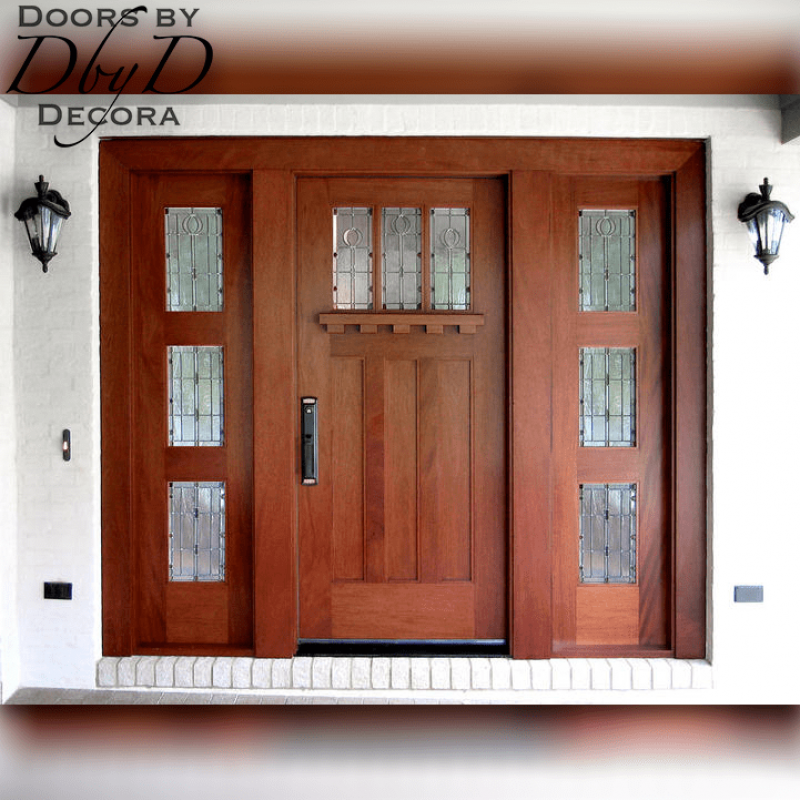 You can see a few of our favorite Frank Lloyd Wright doors below or you can View All Craftsman Doors. 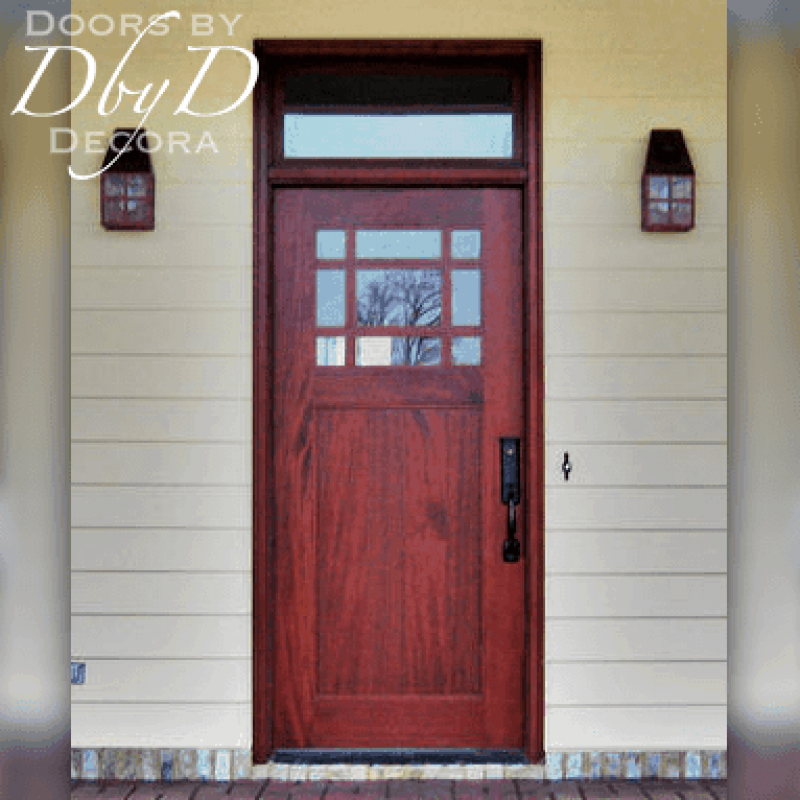 At Doors by Decora, we use many design elements so our doors look like they just came off an vintage Frank Lloyd Wright style home. 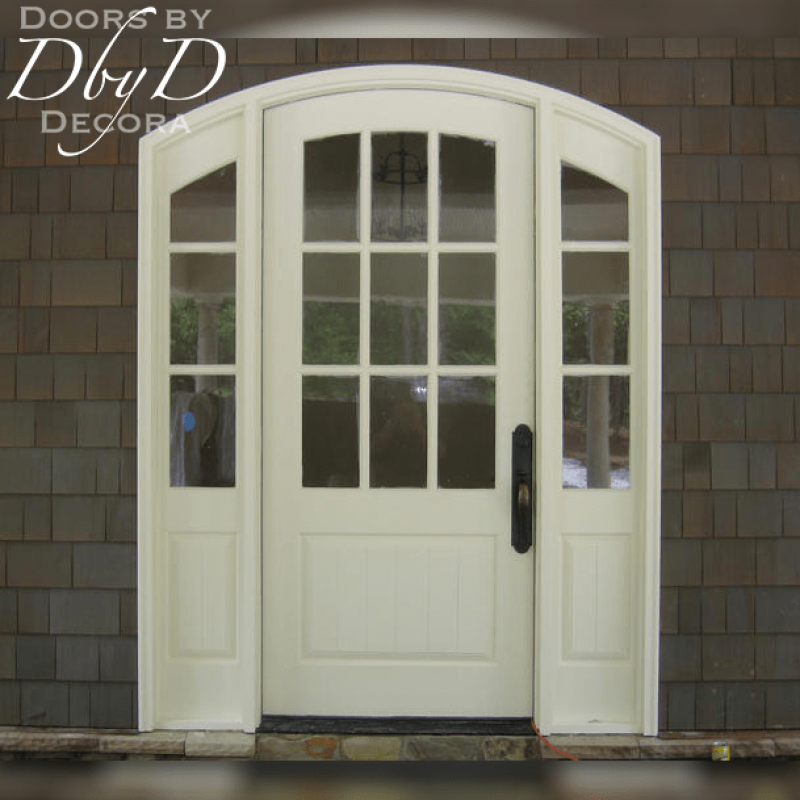 In addition, many of our craftsman styles feature True Divided Lights (TDL) and classic v-groove panels. 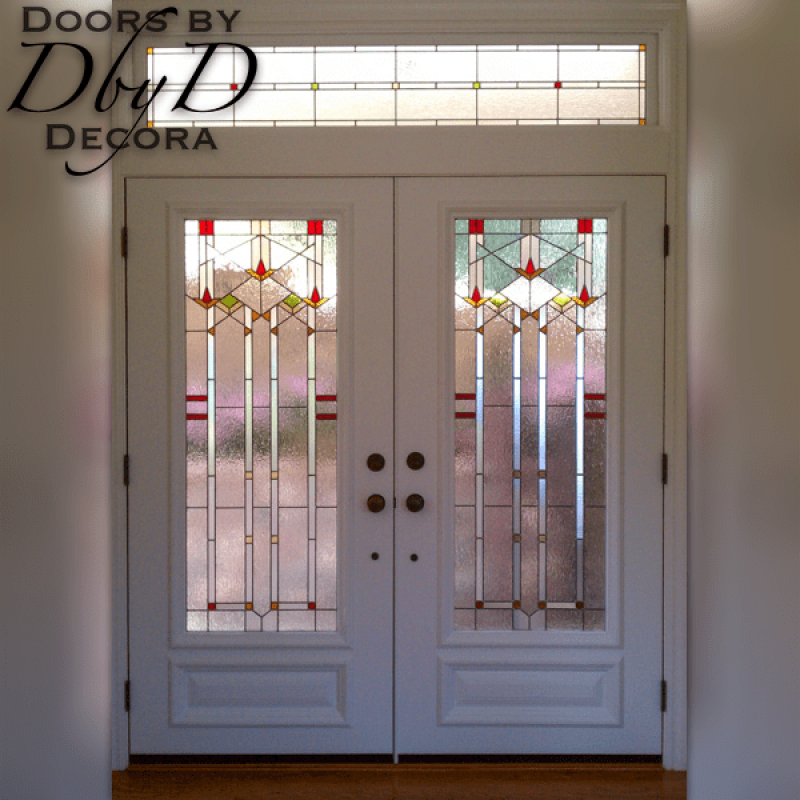 We are also able to add stained glass windows to all of our Frank Lloyd Wright doors. 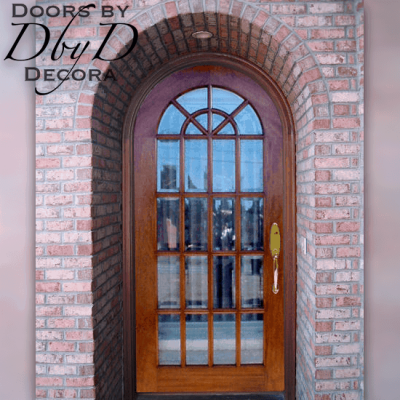 Many of these designs are directly inspired from FLW designs. 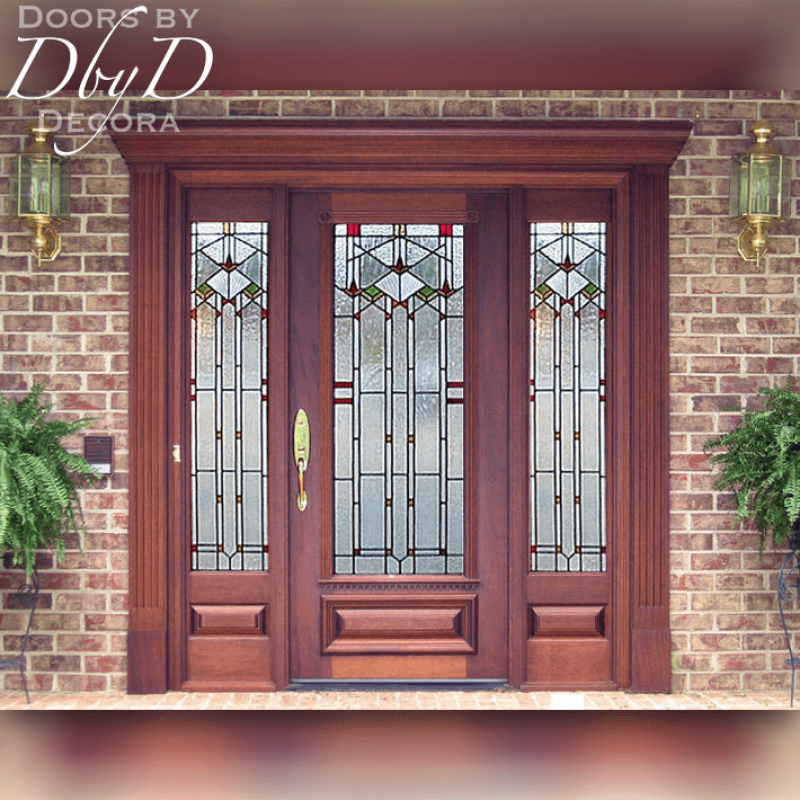 Since we have our own in house stained glass studio, our customers can request their windows to be simple containing just beveled glass designs, or intricate with colors added to the design. 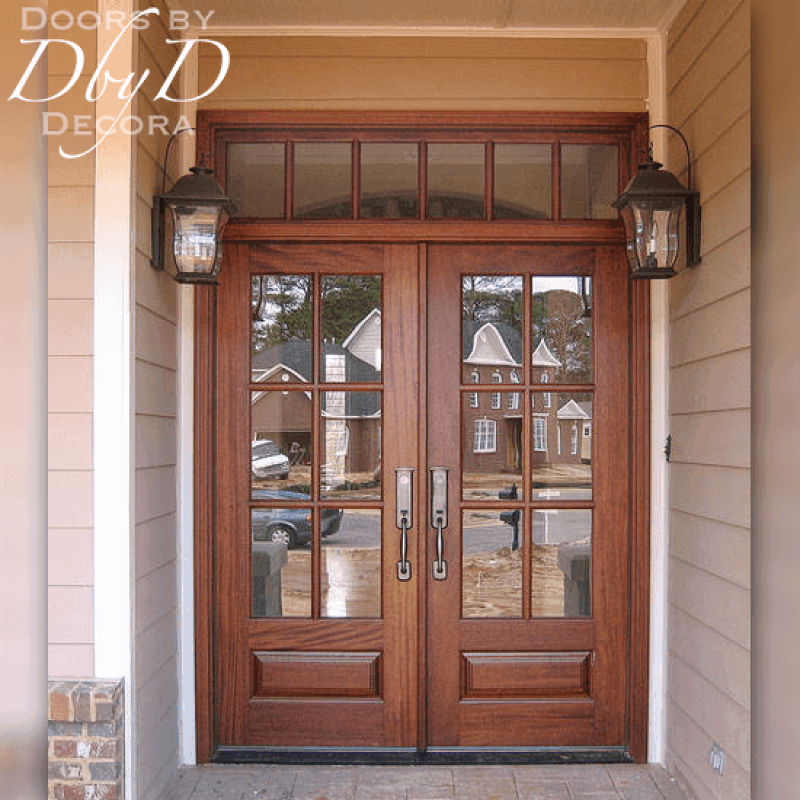 In addition, we can take your favorite glass designs from several projects and design something that is truly a work of art.